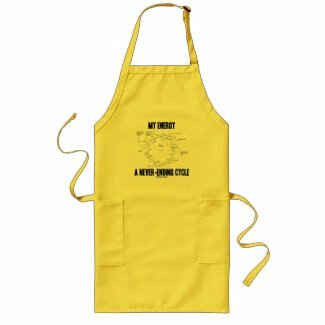 No need to be a biochemist or biologist to enjoy wry scientific humor with any of these gifts featuring the Krebs cycle, also known as the citric acid cycle or tricarboxylic acid cycle. 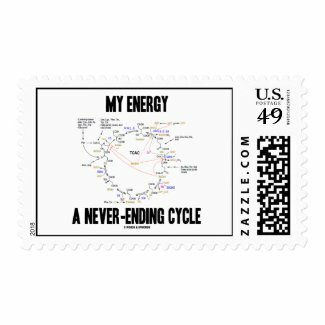 Comes with the scientific truism saying: "My Energy A Never-Ending Cycle". 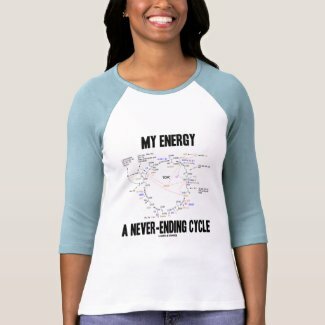 Make others do a double-take on where you get your energy from with a dose of educational attitude with these memorable science humor gifts! Showcase your indefatigable biochemical side!